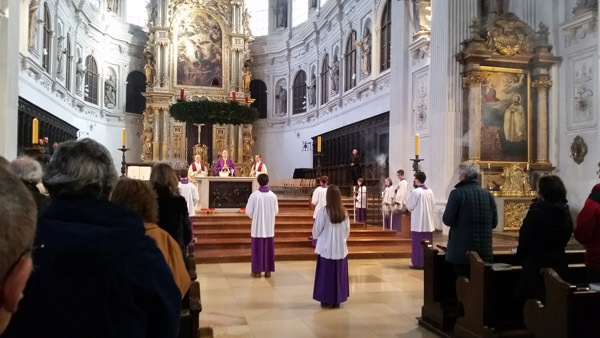 On this third Sunday of Advent I decided to celebrate Mass at 9 as well as 11 am. 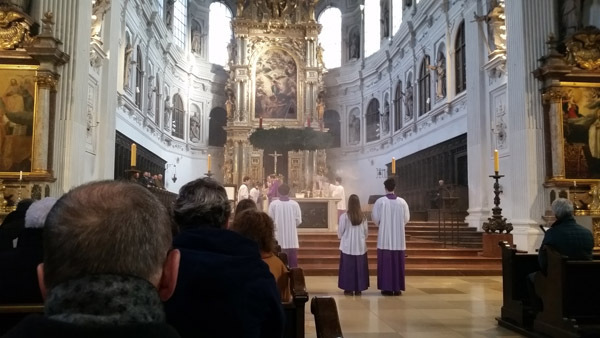 The first Mass was at Saint Michael church. The parish choir sang the Alma Redemptoris Mater. 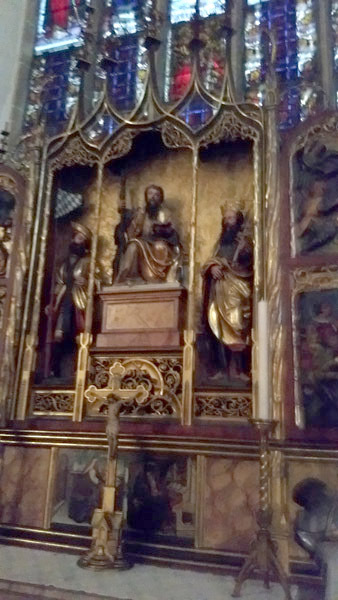 Mass by Tomas de Victoria. 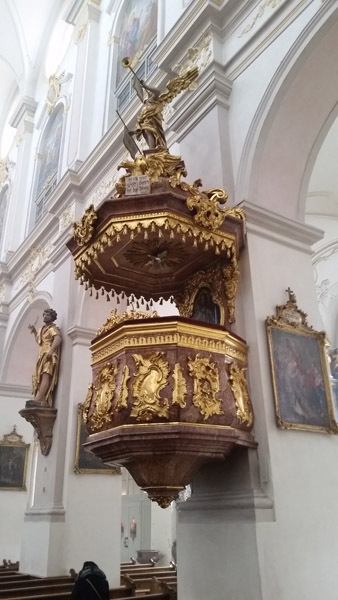 There were twelve teenaged servers and two censers, there were candles and thick incense. 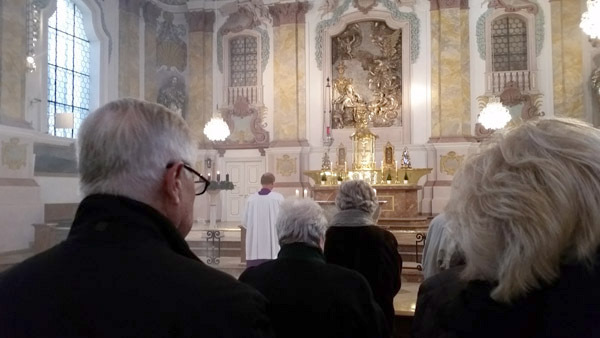 Once again a full church and excellent congregational hymns that I was familiar with but instead of English texts they were in German. After Mass I went to Bürgersaal for the second Mass. 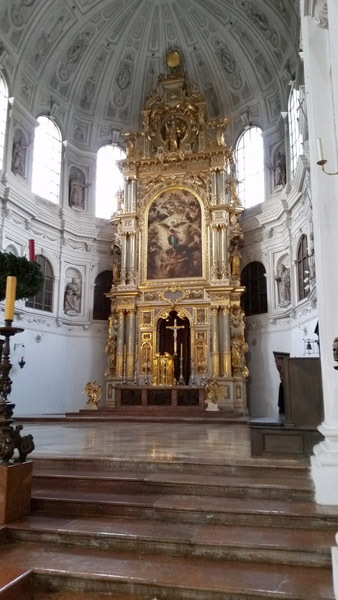 I had some time to explore the lower church where blessed Rupert Mayer is buried, and behind the altar is a museum with artifacts from his life and a video presentation. I was very drawn in to the presentation of his life and his resistance to the Nazis. 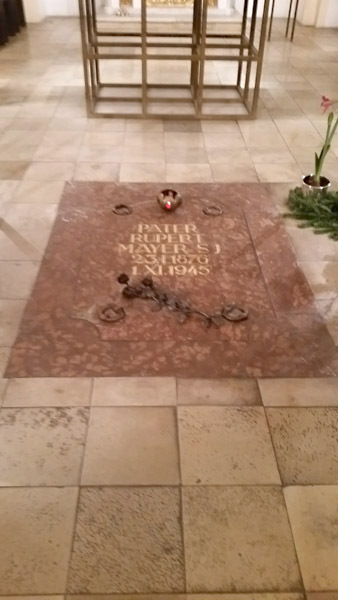 On the wall was a quotation from him, “I say to you clearly that a German Catholic can never be a National Socialist.” I was very taken by his Gospel witness in the face of ideological fanaticism that was evil. 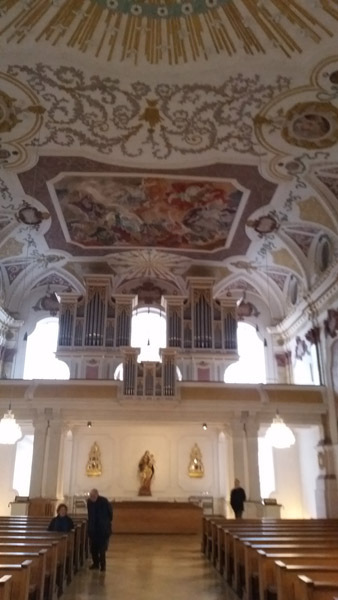 Mass at the Bürgersaal was exquisitely beautiful. The choir sang the J C Siblinger Mass for a women’s choir with harp. Once again a full church with great congregational singing. After Mass I proceeded to Saint Peter church. When I entered you could still smell the aroma of incense. 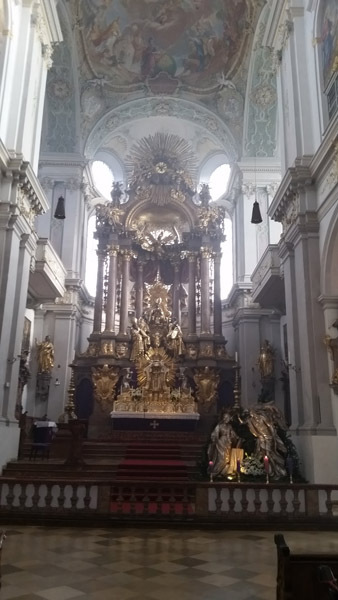 Another beautiful Baroque church. 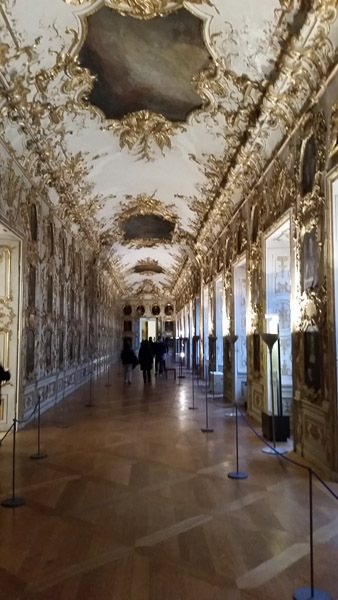 From there I spent the whole afternoon until early evening at the Residenz which was the former residence of the Bavarian kings and has housed a museum since 1920. 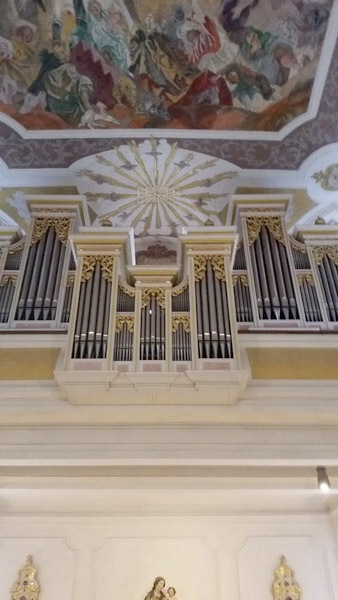 It sustained heavy bombing; however the restoration is once again remarkable. 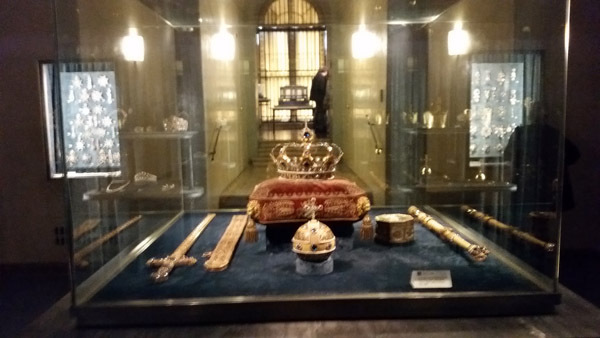 The Schatzkammer includes items as the Bavarian crown insignia, liturgical vessels and jewelry and furniture. 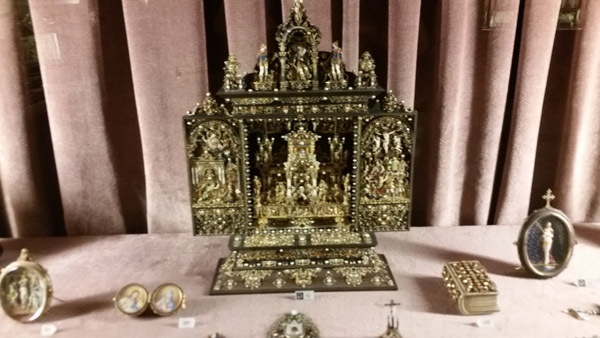 I have included a few photos of a few of the many treasures housed there. 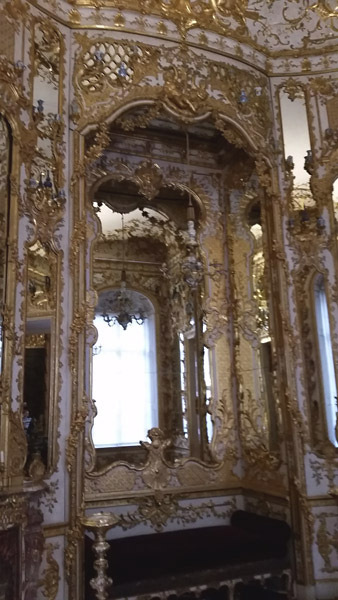 The palace is extensive and you get a sense of the surroundings of the court and how the tastes of the times change. 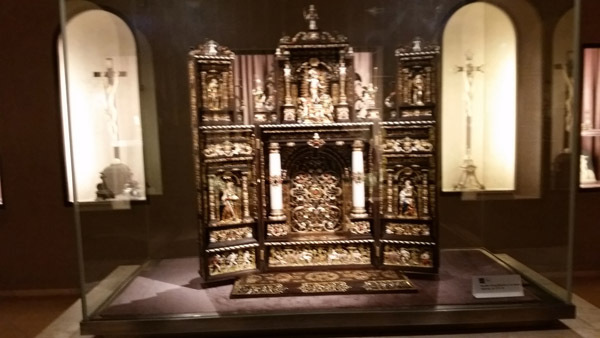 The royal chapel was very beautiful. 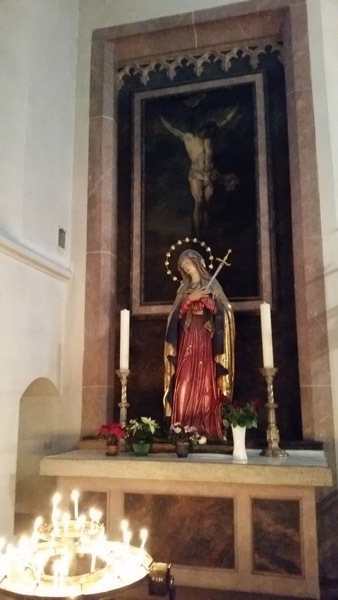 When I left the museum I went right back to Saint Michael for an Advent concert that was put within a liturgical setting. A women’s choir from Saint Chapel performed Benjamin Britten’s A Ceremony of Carols. Once again surrounded by great congregational singing and proclamation of the word and preaching! This Gaudete Sunday has been a Sunday of rejoicing. 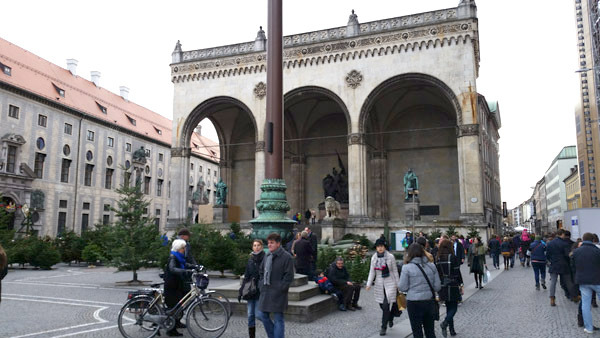 When I stepped into the streets I heard everyone wishing everyone happy Christmas, Frohe Weihnachten, not “happy holidays.” And that is refreshing and a cause of great joy. 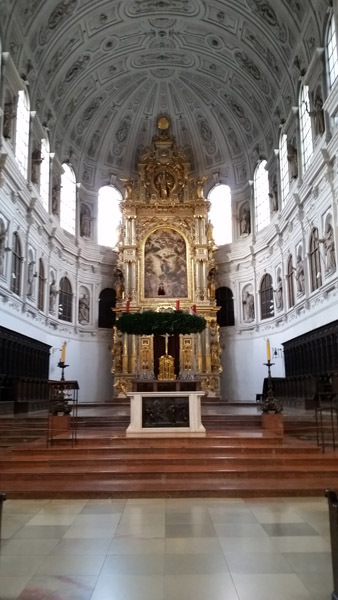 This entry was posted in Christmas, Europe and tagged Gaudete, Mass, Munich, Residenz on December 27, 2014 by frjfkauffmann. 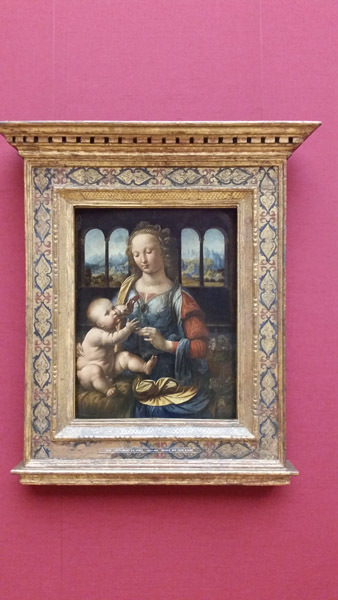 Arrived in Munich from Nuremberg in the late morning and went directly to the Alte Pinakothek whose collection goes back to Wilhelm IV from 1508 to 1550 so over centuries an impressive collection has been assembled. 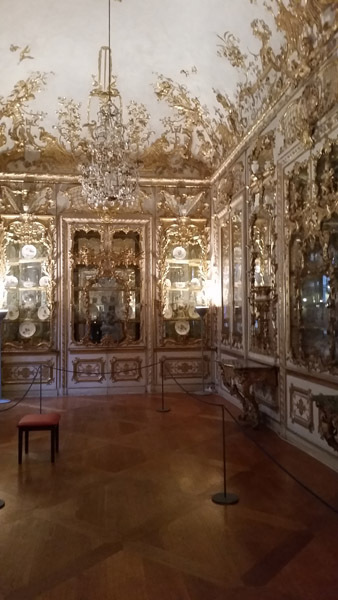 The three to four hours were well spent in this museum. 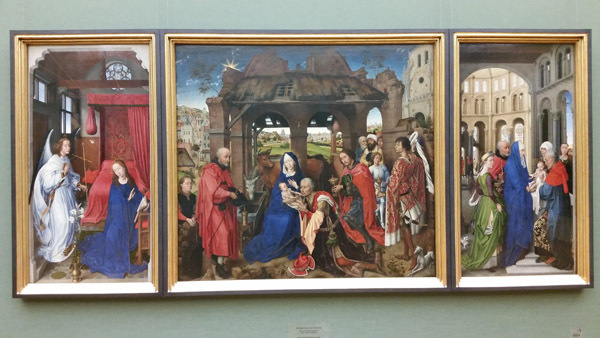 The Rogier van der Weyden altar piece is the finest in the collection. 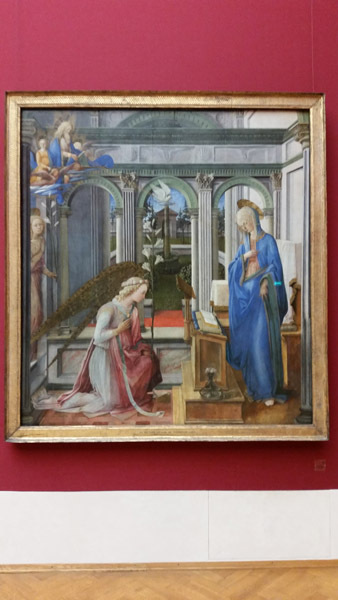 What intrigued me was not only the color and composition but also the small crucifix above the child Jesus. 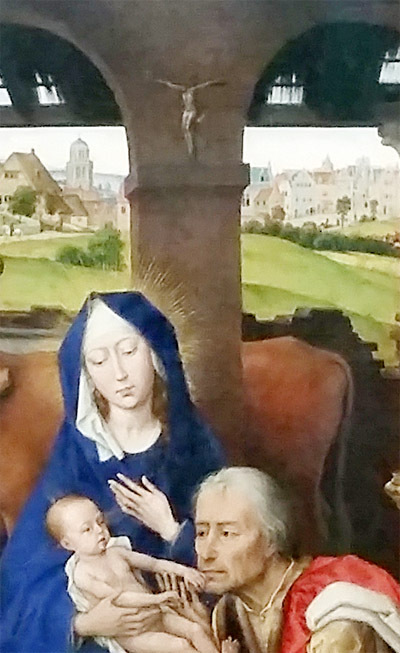 A small detail that one has to find; however it is the key that unlocks the unity of crib and cross. 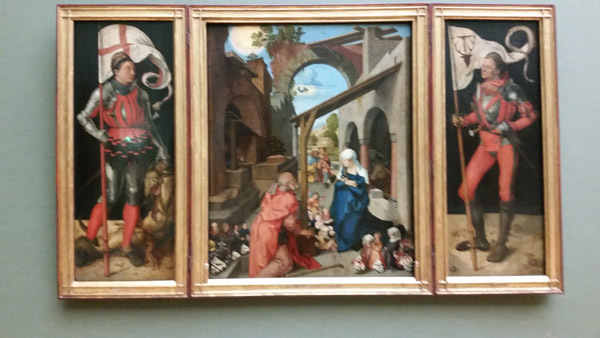 Here are a few more paintings fitting the season. 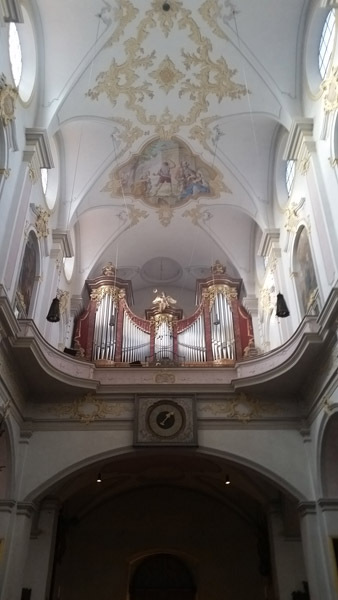 On my way to the museum I stopped by the Theatinerkirche which stands next to Feldherrnhalle. 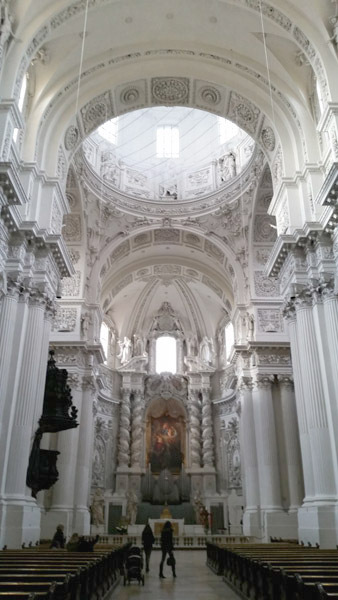 It is a magnificent baroque church whose construction ended in 1690. 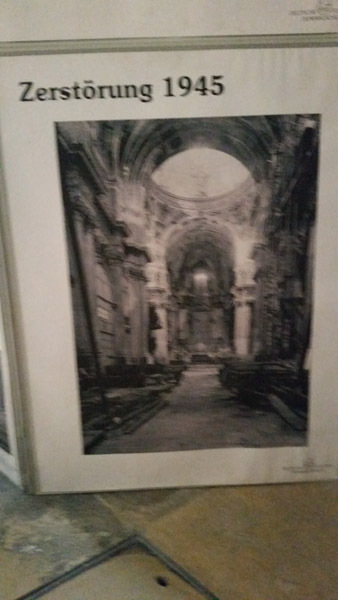 The picture of the church after the 1945 bombing and then comparing it to the church of today reminds one of the awesome task of reconstruction. Leaving the Pinakothek I walked to the Dreifaltigkeitskirche, which is a Baroque church dedicated to the Trinity. It is one of the few historic buildings that avoided the bombing of 1945. 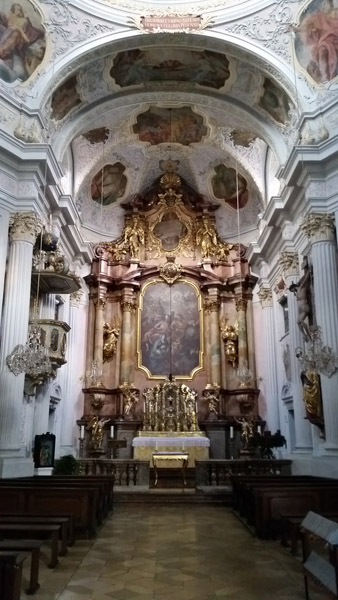 Michaelskirche is truly a monumental church from the late 16th century. I was overwhelmed when I walked in because it massive. I read that the barrel vaulting is second largest after Saint Peter in Rome. 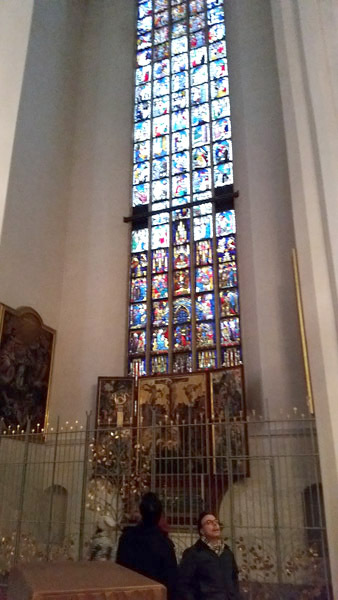 From there I walked over to Bürgersaal and entered the lower church which is a shrine to Father Rupert Mayer who was an opponent of Nazism. 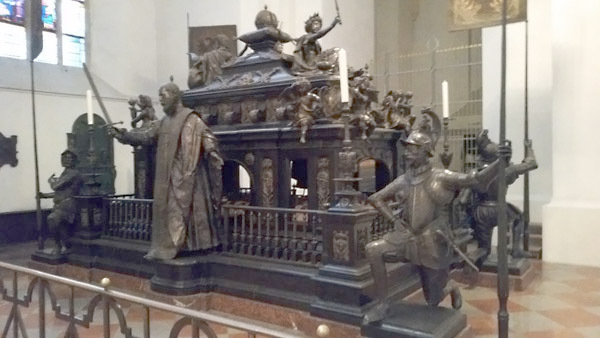 He was beatified in 1987. 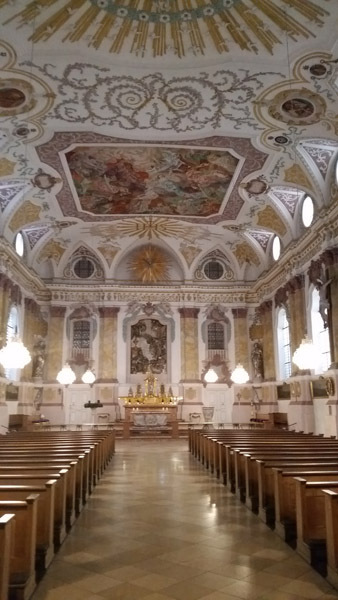 The Bürgersaal was built in the early 1700 for a Marian congregation. Although it was heavily damaged in the 1945 bombings the church still features original frescos. 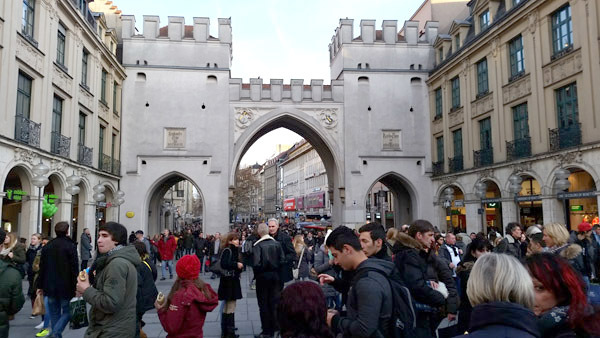 From there I walked to Karlstor which is the west entrance and part of the medieval fortifications. 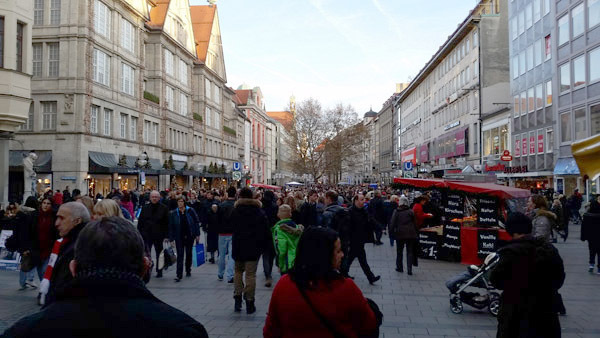 I continued the walk down Neuhauser Strasse where the major Christmas market is set up. 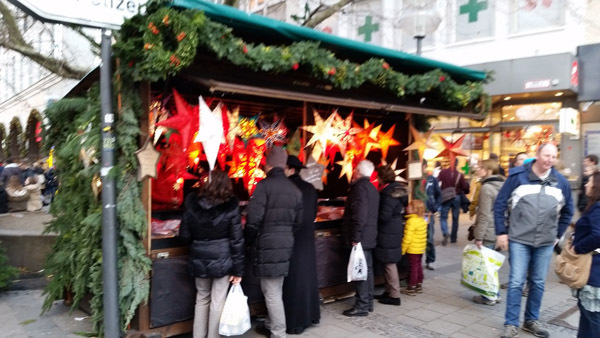 There were many booths selling Nativity scenes which is a big part of Munich Christmas culture. The city prides itself that there are 32 costly creches set up in the center city. As I walked through the market I was stuck by the one selling stars. 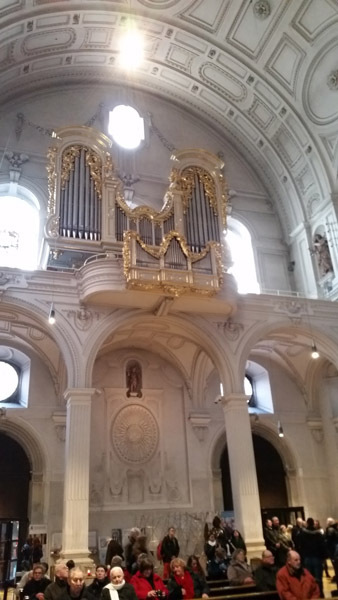 Then on to the Frauenkirche which was partially bombed in 1945 but rebuilt in its Gothic style. 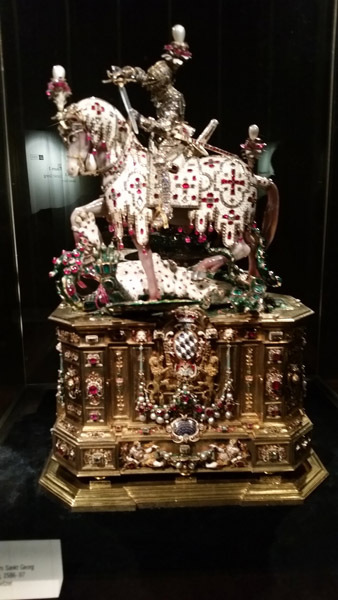 The few treasures that escaped the bombing in 1945 are beautifully displayed as well as the monumental tomb of Emperor Ludwig IV of Bavaria. 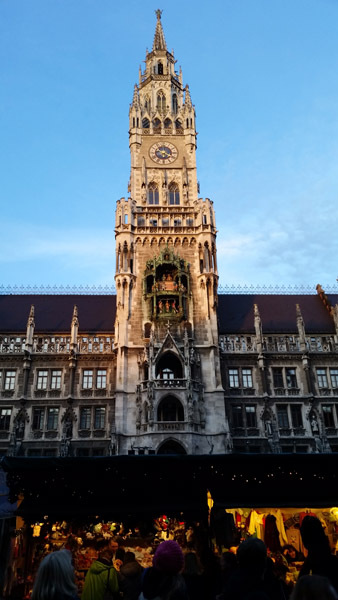 From there I concluded the evening walk at the Neo Gothic Rathaus which was also rebuilt after the bombings of 1945 in Marienplatz which is Munich’s central square. The facade features the glockenspiel whose bells ring while mechanical knights fight a tournament and a crowd dances. 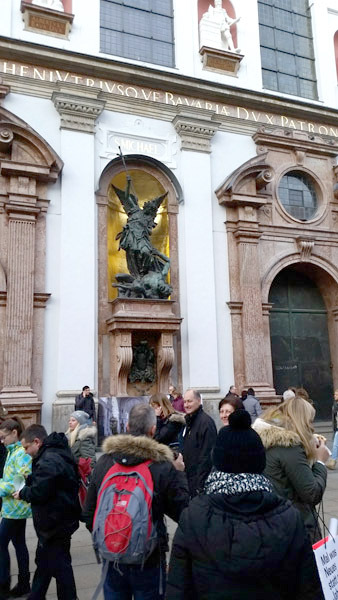 This walk from Karlstor around Marienplatz to the Altes Rathaus in the midst of the Christmas market helps one realize that Munich was a bastion of Catholicism during the Reformation, and its churches witness that is was also a center of the Counter-Reformation that revitalized Catholicism. 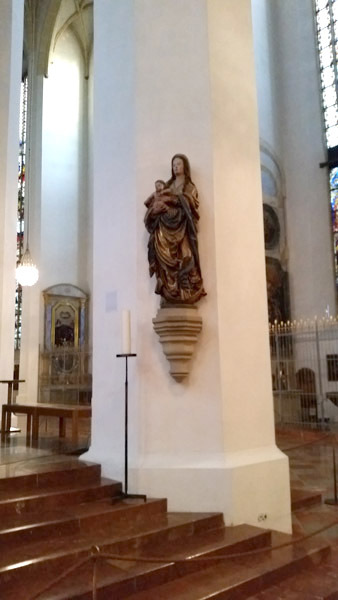 This entry was posted in Europe, Martyrs and tagged Father Rupert Mayer, Munich, Rathaus, van der Weyden on December 24, 2014 by frjfkauffmann.